Since introducing Google Photos, we’ve aspired to be the home for all of your photos, helping you bring together a lifetime of memories in one place. To safely store your memories, we’ve offered two backup options: Original Quality and High Quality. However, in India specifically, we heard from people using the app that their backup experience was at times longer and stalled because they might not always have frequent access to WiFi. 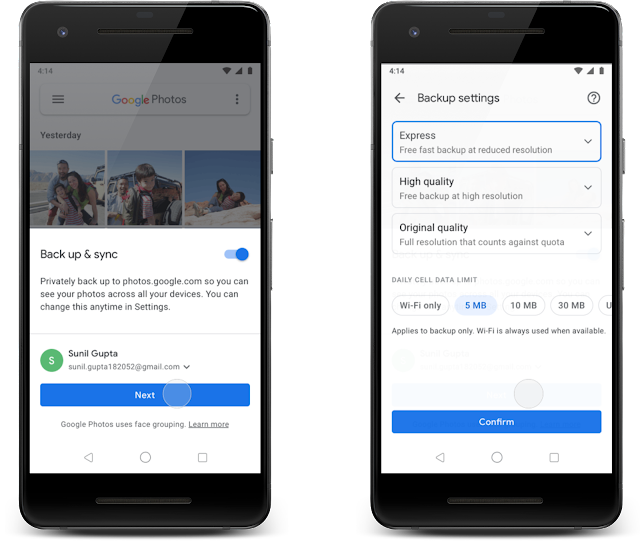 In fact, we learned that over a third of people using Google Photos in India have some photos that hadn’t been backed up in over a month.